Colostrum is the first milk, through which the mother goat provides her offspring with substances important to their natural immunity. 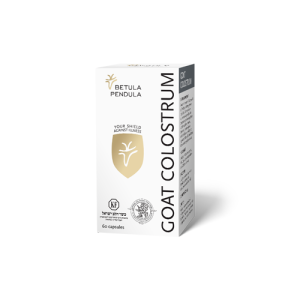 The fact that goat colostrum considerably strengthens the immune system makes it above all an ideal support at the onset of illnesses in both adults and children. It helps to keep a strong immunity for example in situations of extreme physical stress and is thus especially valuable to sportsmen and women. It also significantly accelerates overall recovery after illness or surgery, and is used as a follow-up treatment after chemotherapy. Clinical studies prove the significant effect of growth factors contained in the first milk on the quality of skin complexion. We have therefore introduced an interesting novelty for women – rejuvenating facial serum whose main component is real goat colostrum. It is the first cosmetic composition in the world with a high content of natural growth factors. Skin calming and hydration is ensured by the combination of milk peptides, extract of boswellia, hyaluronic acid, and panthenol. The combination of colostrum and avocado oil with essential fatty acids works especially well as an anti-inflammatory. In comparison with our competitors’ products on the market which are aimed at a similar target group, skin type and effect, we can stress that our product. 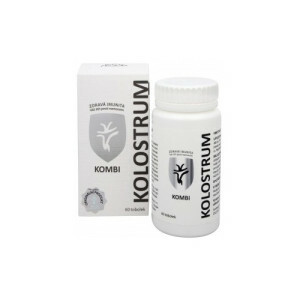 We also offer cow colostrum from free-range animals in certified herds. As with goat colostrum we apply the most rigorous standards with its processing. 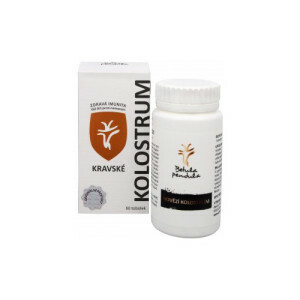 We also offer a mixture of goat and cow colostrum.